Acne is a common skin disorder and actually effects over 80% of the population aged between 14 and 30. It’s caused by inflamed or infected sebaceous glands which cause red pimples on the skin, which commonly occur on the face. Around 25% of people who are affected by acne in their teens go on to develop permanent scars. Acne scars are caused by deep skin infections, resulting from acne pustules or cysts. Blemishes and red looking pimples occur when the pores become inflamed with excess oil, dead skin and bacteria. When pressure within the pours becomes too great, they swell and the follicle wall becomes ruptured, causing damage to the skin. If the rupture is quite near the skin’s surface, the lesions (a region in an organ or tissue which has suffered damage) usually heal relatively quickly. If the rupture causes a deep break in the follicle wall, the infected bacteria spills into the dermis and destroys healthy skin tissue. If this is the case, the body automatically begins to try and repair the damage done to the dermis and the skin starts to form new Collagen fibres. Collagen is what gives the skin strength and flexibility. However, when the body produces too much Collagen, the effects can result in bumpy looking scars. Depressions within the skin are also common with more serious outbreaks of acne. These depressions are known as atrophic scars. The cause of this scaring is loss of tissue and it usually appears the most dramatic and noticeable. The effects caused by acne can have an impact on one’s psychological and social life, however, through recent advances in laser technology, acne scaring can be greatly reduced. Through our Lumina 585Plus Acne Treatment, the major bacterial cause of acne (Propionibacterium Acnes) can be eliminated by the application on light. 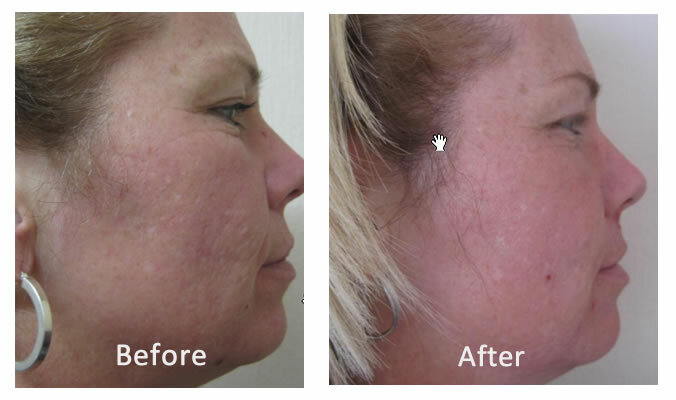 Broadband light sources such as the LUMINA allow for the acne to be treated at all levels. The shorter wavelengths allow for optimum surface bacterial destruction, whilst also getting to the deep-seated bacteria existing in pustules and papules and targeting the sebaceous glands themselves. For more information on laser treatment for acne, fill in our contact form. Most people are suitable for fractional laser treatment. The treatment is recommended for individuals who are looking to improve skin texture, tone, elasticity, reduce wrinkles or improve the visible appearance of stretch marks or acne scaring. 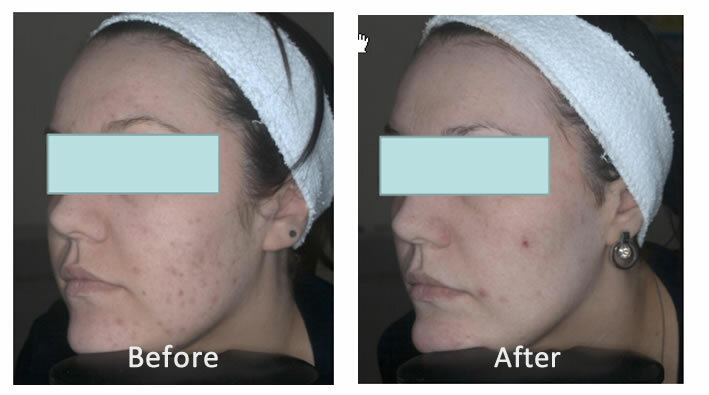 Every client is different and results depend on the severity of acne being treated. However, the good news is that you will typically see an improvements within 48 hours of your first session. We recommend 6 treatment sessions 2 to 6 weeks apart. Firstly, your skin is cleansed and then we use a hand piece, which is moved over the area of skin to be treated. The hand piece releases tiny microscopic laser beams which begin treating the area. In order to minimise skin heating and to reduce the likelihood of skin reactions, the treatment area will be cooled after the procedure. Once you get home, you may like to apply a cold compress/wet ﬂannel. In applying an ice pack at home, always put ice inside a clean plastic bag and wrap in a soft cloth. Do not allow ice packs or ice to come into direct contact with the skin. Avoid cosmetics for approximately 48 hours after treatment, we advise longer if the area is sensitive. Remove make up carefully as rubbing the skin can cause irritation or infection. If the skin at the treatment area becomes broken, then make-up should be avoided. Use a sunscreen (SPF 30+) and protect the area from sunlight as much as possible between treatments and for at least one month after treatment ends. Failure to do this can lead to sunburn and hyper pigmentation of the treated area. Call the clinic or fill out our contact form to arrange your consultation.